In the midst of creating custom Brooch Bouquets for my lovely brides I had the opportunity to create a few of my mini desk-top bouquets, each with a personal story… the top was a gift to my Mother-in-law for her 80th Birthday, I even Mod Podged an old bottle with antique wrapping paper. The pink was for a friend re-covering from surgery. “Under the Tuscan Sun” was for a friend dreaming of Italy! Finally the purple and gold was commissioned for a Mother’s day gift for a treasured mom! Each have found a spot in the lives of the recipients where they can be seen and bring joy! One smile at a time! 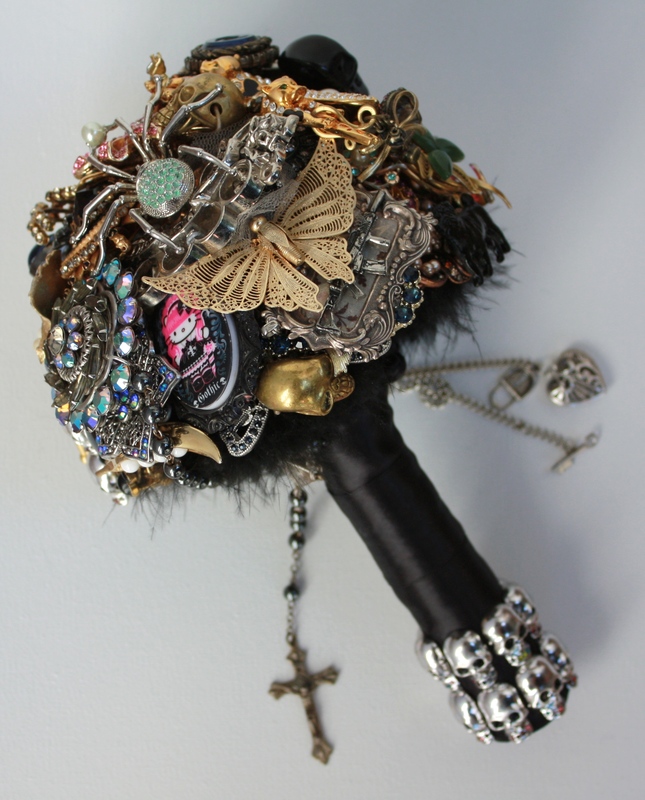 The latest Custom Brooch Bouquet to find it’s way into the hands of a happy bride… This one was personal for me. It was a gift for a very special bride, Nicole. Her fiancé Trevor is like a son and has a special place in our family! 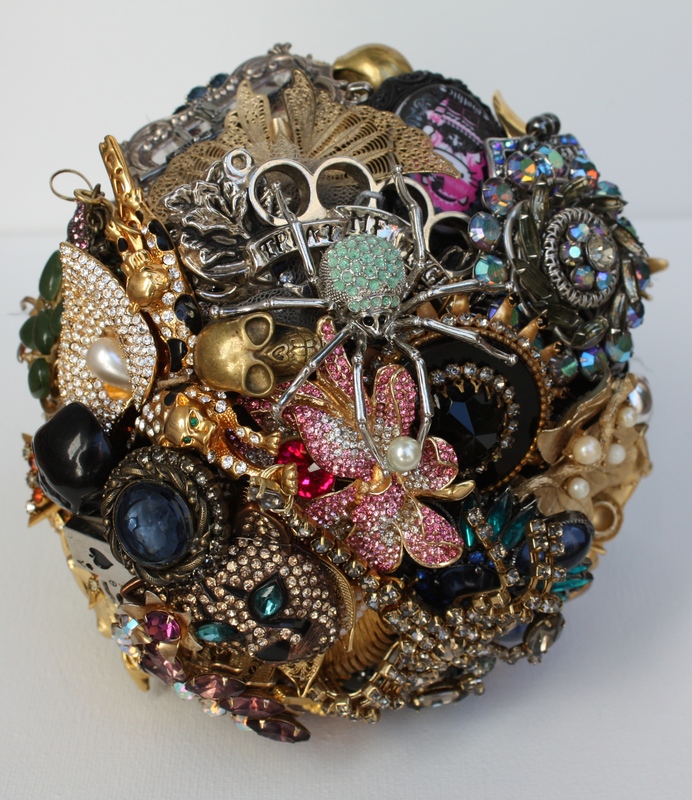 Soo when he proposed to Nicole and she expressed her desire for a brooch bouquet full of vintage pieces… well, ok! Done! The Ceremony took place in the private home of Trevor’s Grandmother in San Francisco… stay tuned for the details! A little sneak peek of the latest custom Brooch Bouquet on it’s way to a lucky bride in Baton Rouge! Can you guess where her inspiration came from?